Newhouse Farm Bed and Breakfast may change this policy from time to time by updating this page. You should check this page from time to time to ensure that you are happy with any changes. This policy was last updated on the 13th July 2018. If you contact us by email, post or telephone Newhouse Farm Bed and Breakfast will be receiving personal data from you. For the purposes of the General Data Protection Regulations (EU) 2018 Newhouse Farm Bed and Breakfast is the “data controller” and “data processor” of your personal information. The data protection officer for Newhouse Farm Bed and Breakfast is Derek Ball who is responsible for your personal information. We will use your information only for the purposes of answering any questions that you may ask when contacting us, replying to pre-contract enquiries and supplying quotations for prospective contracts. If you enter into a contract for the supply of our services we will use your personal information for the administration of the contract. Our legal basis for processing your information is contract. This applies to pre-contract enquiries and for the purposes of administering a contract with Newhouse Farm Bed and Breakfast for the supply of services. If we wish to send out general information on our services to persons that we do not have a contract with we will only do so after we have obtained their explicit consent to use their personal information for that purpose. 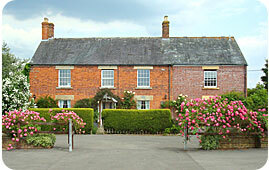 Staff employed by Newhouse Farm Bed and Breakfast for the purposes of administration. If you enter into a contract with Newhouse Farm Bed and Breakfast, third party accountants and accounting services that we use for Newhouse Farm Bed and Breakfast. If required to do so under a legal obligation we may need to disclose your personal information i.e. for the purposes of an investigation i.e. by government bodies. We may also use your personal information for fraud prevention and credit risk enquiries. Other than this, we will not share your personal information with any other organisations without your consent. If you believe that any information we are holding on you is incorrect or incomplete, or your contact details change, please telephone, write to or email us and we will promptly, and within one month, correct any information found to be incorrect. If you wish any information we are holding on you to be deleted from our records, please telephone, write to or email us and we will promptly, and within one month, delete your personal information, unless we need to retain it for accounting or legal purposes. If you wish to restrict our use of the personal information we are holding on you, please telephone, write to or email us and we will promptly, and within one month, restrict the use of your personal information as requested. You can request that the personal information we are holding on you is sent to you in a format that is secure and suitable for re-use, please telephone, write to or email us and we will promptly, and within one month, send you a CSV file containing your personal information by a secure delivery method. If you wish to object to the way in which we are using your personal information, please telephone, write to or email us and we will promptly, and within one month, cease using your personal information as requested. Where you give us consent to process your personal information it will be kept for a period of no more than two years at which time we will ask you if you wish to renew your consent. If we do not hear from you that you wish to renew your consent within one month your personal information will be deleted from our records. If you enter into a contract with us for services provided we will keep your personal information for a period of 7 years from the end of the contract for accounting and tax purposes. If you are not happy with our processing or the way we have dealt with your information, you can make a complaint to the Information Commissioner's Office: https://ico.org.uk/concerns.